There are 2 reviews of Lumière Dorée. Uber-clean white floral, which begs to be reincarnated as a spritzer served in a pub on a hot day as well as a perfume. A single minded orange-blossom with its green facets bringing cool shade to the delicate honey that is at the centre of its scent profile, a dab of bitter orange to tease out the fruity aspects of the blossom, and projecting musk a go-go. Normally it’s the kind of thing that either makes me bored or run with horror. But here it’s executed with panache and energy, transitioning from the sparkle at the start to the downy drydown without putting a foot wrong. It’s gussied up cologne water for sure, but when the results are so perfectly pitched, I really don’t care. 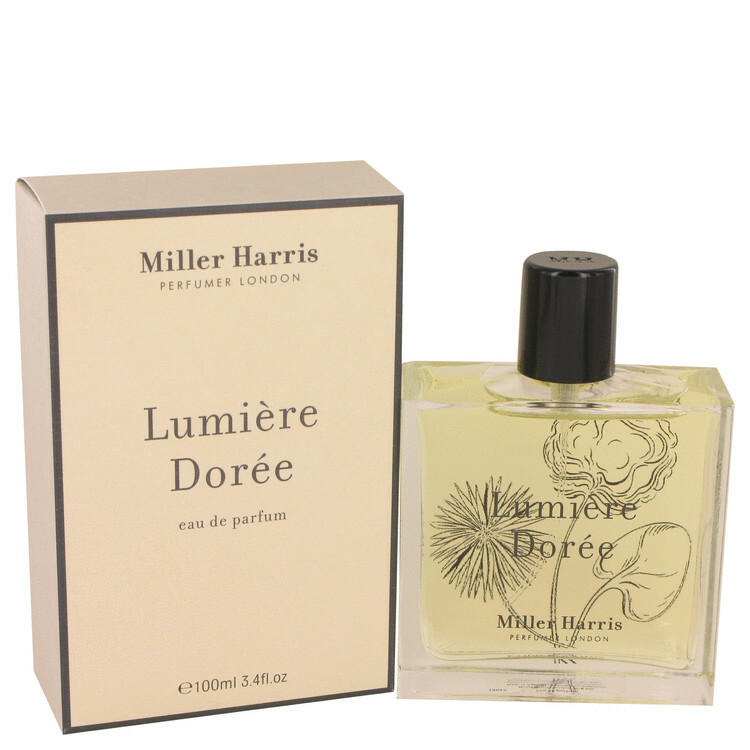 Lumière Dorée (Golden Light) opens extremely citrus, bright and soapy; like a shrill version of Eau d’Hadrien. It does little else for it’s duration. For an EDP, it behaves more like a cologne. The floral orange and petigrain combo treads a familiar path for Miller Harris and brings to mind elements of Citron Citron and Le Petit Grain. Like most of the orange blossom fragrances I've encountered it’s sharp, bitter, floral, soapy and slightly rubbery (I detect vetiver.) It’s definitely for Orange Blossom lovers but I’m not sure it brings anything new to the table. Actually, I'm certain it doesn't. There’s a nice amber in the base but it’s so hard to pull from the soapiness that it feels abandoned, which is a shame as what the composition sorely needs is some depth. This is a miss for me. I’m not a fan of it’s screeching sparsity. There are too many better Orange Blossom perfumes on the market already. There are no member images of Lumière Dorée yet. Why not be the first?